So I think Theresa May and the British people are going to be gravely disappointed by what they hear spout from the orifice of Alt Trump. He is far more likely to congratulate himself for being instrumental in making Britians' BrExit vote outcome possible than seeking to give Britain a few trade scraps. Instead it is more likely that he concentrates on preparations for his full bells and whistles state visit to Britain. For that is the nature of the beast that now inhabits the White House. It's all about Trump, and how America and the world is going to make Donald Trump GREAT! So, all that the mainstream press has been reporting on since the announcement of Theresa May's visit is just NOISE, for none of it will matter on the day Theresa May is asked to perhaps lap dance for President Alt Trump for a few scraps from his trade table. Already Theresa May has been forewarned of Alt Trumps ***** grabbing tendencies as in a candid interview with Sky news Theresa May was asked by Sophy Ridge on her thoughts about meeting Donald Trump given that it is on the record that he likes to grab women by the P&ssy. 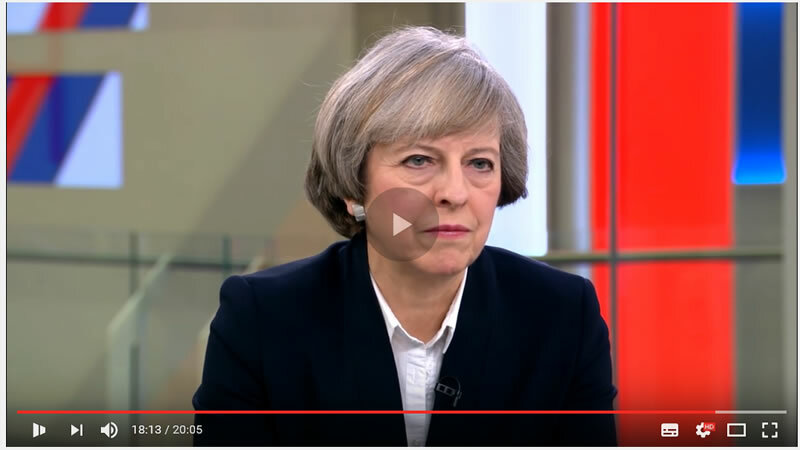 The look on Theresa May's face said it all as she tried to respond to the potential dangers of meeting President Alt Trump. 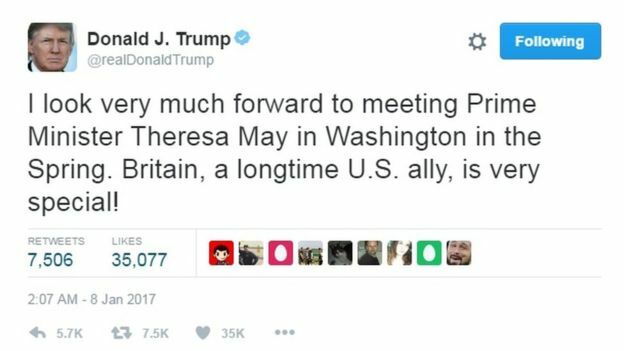 Trump had already tweeted that he was very much looking forward to having a very special meeting with Theresa May. Nigel Farage had earlier offered to act as a safe intermediary and would strongly advise Donald Trump not to grab Theresa May by her p#ussy when they met. So no one should have any hopes for this self publicist to offer Britain anything other than a few scraps.